British Columbia’s biggest city, Vancouver, has not always been synonymous with a club scene or a popular nightlife style. The strict regulations towards alcohol and venues mixed with the high real state pricing held this beautiful city hostage to the “No Fun City” moniker for quiet sometime. The city made vital improvements in the last few years to correct that and its club/bar scene has flourished thanks to it. Not only giving local musicians a chance to perform and host events around town but becoming a destination to those who wish to live in a modern and “hip” city. One of those acts that call Vancouver home are Nick Middleton and Duncan Smith, known to the world as “The Funk Hunters”. 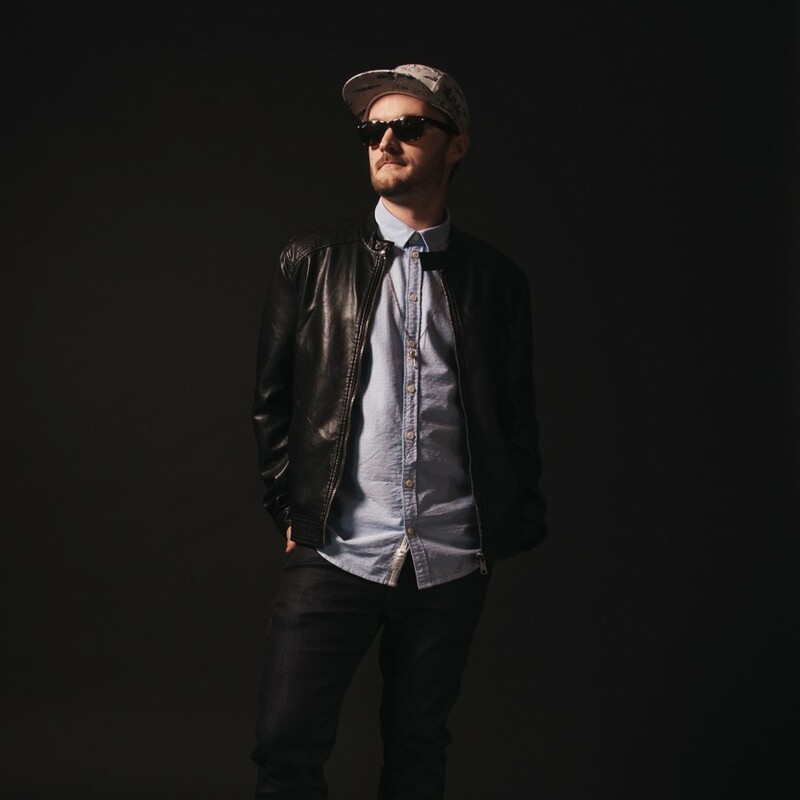 The Funk Hunters are an Electronic Music duo that incorporates Funk and Hip Hop influences with exquisite bass heavy productions to bring “soul” back into Dance music. Their music range from Glitch Hop to Hip Hop and Drum & Bass but at the end of the day it is all about producing quality and memorable songs for Nick and Duncan. 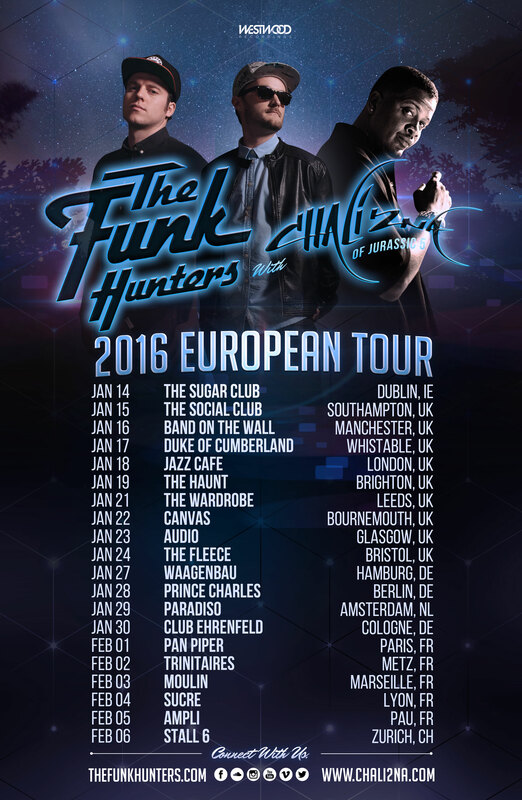 The Funk Hunters have not only made a name for themselves with their tracks, they have become one of the premier live acts around the world. Most recently they toured North America with iconic rapper Chali 2na of Jurassic 5, who has called them “the selectah’s of the century!”. They have also done over 450 shows in 16 different countries and performed in virtually every Festival imaginable, from Burning Man to Shambhala and Electric Forest. Nick (1/2 of The Funk Hunters) is not only traveling the world as part of The Funk Hunters but he also founded Westwood Recordings in 2013 and in less than 2 years he has put the label in a position to solidify their status as one of the best up and coming labels in the Bass music scene, with acts like Defunk, Delhi 2 Dublin, Crazy Daylight and Vespers calling it home. We caught up with Nick Middleton of The Funk Hunters and Westwood Recordings to discuss his life as a musician and business entrepreneur. LABEL ENGINE: Your touring schedule is bananas, The Funk Hunters is definitely one of the busiest acts in Electronic music right now but still have managed to knock out several remixes and collaborations, how do you manage to find a perfect balance between live performances and producing music? NICK: It’s tough. Working 24 hours a day, 7 days a week certainly helps make it possible and doing what I love everyday makes it all worthwhile. Between producing in the studio, running my label Westwood and touring year round there isn’t much time left in between. I think for starters it’s important to really understand when you are most productive and on what. For example, on days that I’m not on the road and I’m planning on being in the studio, I distance myself from Westwood work and emails and sometimes even turn my phone and Internet off. Or vice versa, if we’ve got a lot of conference calls with our management or I’m launching a big release or project with Westwood I won’t even consider hitting the studio that day because I know that’s going to drain my creativity. Its all about making the most of the time you have and it sounds funny to say but getting to know yourself – how and when you are productive, when you aren’t, when you just need a day off, how much work are you actually capable of doing when your “on tour” etc – and it’s also about starting to build a great team around you to support all that work. LABEL ENGINE: It wouldn’t be fair to ask you to pick a favorite between producing music and performing live, I would imagine they bring you joy in different ways but how do they compare? Which one is more gratifying at the end of the day? NICK: I think for me the most gratifying is the combination of the two, getting to play one of my new tracks for the very first time to a huge festival crowd or sold out club show is really what its all about, that feeling of having new music to play keeps touring fresh, keeps your sets fresh and keeps you excited to get back into the studio. When you are home or have a long flight where you can jump back into work mode but the balance has to be there, too much time on the road can be detrimental to your studio output and too much time in the studio (although I’ve yet to really have that haha) I would predict would leave you itching to get back out on the road to play the new stuff! LABEL ENGINE: The Funk Hunters are known for bringing live bands and singers/rappers as part of the show, for those curious about it, what are the logistics like? How difficult is it to put something like that together? NICK: It’s been an interesting journey for us. I was never in bands or played any instruments growing up. My path into the music industry really was from catching the electronic music bug at a young age, attending festivals like Shambhala Music Festival as a teenager, eventually buying turntables and figuring out how to DJ. I’d say the payoff has been huge just in terms of personal joy but also in terms of the way it has elevated our live sets. There’s nothing that can replace the feeling of a musician playing an instrument live, it’s what a “concert” has traditionally always been about. So much of EDM these days is pre-determined, pre-planned, sometimes even pre-mixed. The element of improvisation is lost, and with that the feeling of ‘being in the moment’ for both the audience and the performer is gone, there isn’t a risk of someone hitting a wrong note, or the potential for a musician to launch into an amazing solo and so on. For the most part I think you could make the argument that as electronic acts have gotten bigger they’ve also played it more safe – less to do means less to go wrong – then combine that with lights and visuals cues and your left with a lot of pre-programmed sets. So I think part of the motivation of introducing the live band into our sets has been just to bring that human element back to our music and back to our shows. Right now our configuration scales from anywhere from one or two special guests who make appearances during our show (ie a singer or saxophone or guitar player) all the way up to a live 6-piece band and then we also run and mix all our own Audio Visual material on top of that at all of our shows too! LABEL ENGINE: As musicians that actually get to live off music, the approach must be fairly similar to one of creating a start-up business or company. Even with Managers, Accountants and Lawyers involved, I see musicians as entrepreneurs. Is that fair to say? How much are you guys involved in the business side of things? NICK: 100%! If you’re not looking at it as a business, you’re going to run into serious trouble. At the end of the day you are so much more than just an artist or a musician or a performer, you’re the owner of a business (which are often incorporated) and your business is really a brand. You need to think of yourself as an entrepreneur and if you want to grow, then you need to scale that business accordingly. I think people often use the excuse of just wanting to be an artist and to not deal with social media, marketing or accounting, etc, and I think that’s totally fine but then you better build a great team around you to handle everything else while you just spend your time in the studio! The more you can do these things yourself when you are first starting out, then the easier its going to be to attract real Management, Agents, Business Managers, Publicists and Lawyers later on down the road when your business is ready to scale up. If you don’t take your career (and business) seriously, then don’t expect others to. LABEL ENGINE: Talking about Entrepreneurship, you are the founder and label manager of Westwood Recordings. The label was founded in mid-2013 with a lead single from The Funk Hunters but instead of simply becoming a platform for your own music, you have hosted releases by some of the most recognizable names in the Glitch Hop/Bass scene like Defunk, Crazy Daylight, K+Lab and Vespers. Was this always the plan? What was your thought process like when making the decision to launch the label? NICK: This was definitely the goal starting out. I wanted to start the label early while I was still growing as an artist as I felt like as each business would grow side by side (Westwood & The Funk Hunters) and they could kind of help pull each other along while at the same time helping to boost all the other music I would be releasing from friends on the label too. I actually ran another label before Westwood for a few years but it was focused on bootlegs and generally only distributed to places like Juno Download and Soundcloud. So with Westwood I had a clear goal. I wanted it to be focused 100% on original sample free music, I wanted it not to be bound to any particular tempo or genre, I wanted to limit the number of releases we had so we could really help push each release (quality over quantity), and ultimately I just wanted it to grow into something that my friends (and myself as an artist) would be proud to release on. I think back in 2013 when I started the label I had already had enough personal interactions with labels around the globe releasing my music or doing remixes for them that i knew exactly how and why I wanted Westwood to be different. I was frustrated with my options for releasing music so I felt it was time to just start something on my own. I’ve been super fortunate to have so many amazing and talented friends that believed in what I was doing and who decided to release their music on Westwood. 2015 was definitely exceeded expectations for the label in a number of ways and it feels like its only just the start, I’m pretty excited for what’s ahead for all of us on the label in 2016! LABEL ENGINE: As a label manager and DJ you have to have your ears glued to what’s new out there, not only follow the trends in music but also see which artists are moving up the ladder. Who do you think is “next” to breakout as a star in the music scene and why? NICK: This is always such a tough question but off the top of my head, I think one stand out right now would be the artist named ZHU, there’s just something so unique and yet so accessible about what he’s doing so i predict a pretty big ZHU takeover in 2016. I think in general its also just fantastic to see the rise of electronic music that’s got an element of soul to it. Artists like Griz, Gramatik and Pretty Lights have never been bigger and even without traditional radio support or major label support, they are growing at such a fast rate right now – so that’s hugely encouraging for us. That trend is also slowly starting to permeate the mainstream pop world too, take Mark Ronson and Bruno Mars single “Uptown Funk” for example, last month it passed over a billion plays on YouTube so that is clear evidence that the funk is making a come back! I think it’s a trend we’re going to see grow like wildfire, whether its on stage or in the studio, the musicality of electronic music is increasing and fans are going to slowly wake up to how little is actually happening on stage and start to demand more of a live creative element – whether it’s just the simple art of real DJ’ing and mixing or a more complex hybrid of live PA performance. LABEL ENGINE: From a label manager and businessperson perspective, what do you think of the current status of the music industry? How has the “Streaming” revolution make you adjust? Today, the whole idea of the traditional Gate Keeper is gone. The barriers of that part of the industry are falling rapidly and there’s really never been an easier time to make our music accessible to the masses and streaming is a key component of that. We’re all walking around with high speed internet connected devices in our pocket which means our appetite for streaming is here to stay. No one needs to actually “own” music anymore. I don’t think the industry has fully come to terms with this yet and were still clearly in flux in terms of what this means for revenue distribution, especially with premium services and subscriptions but if you are not looking forward then your falling behind. LABEL ENGINE: Can an artist become “profitable” without having to compromise these days? It feels like a lot of times you have to compromise on creativity to chase a certain type of sound that will allow you to have a fruitful DJ career. NICK: I can see how compromising creativity can lead to quick profit, especially if you are chasing a trending a genre or sound but you need to ask yourself if you’re trying to build a career with longevity, a career with true fans and a career with a body of work you can be proud of? If those are all important goals for you, then chasing someone else’s “sound” and compromising creativity is never the right move. Plus, if you’re trying to copy someone else, it’s already too late; they’re already ahead of you. I know for me, personally, when I look around at artists I truly respect who have built themselves life long careers it’s because they didn’t sacrifice their creativity and that’s been hugely profitable for them in the long term. It’s certainly a longer more challenging path to take but in the end the rewards can be so much bigger, both economically but also just personally. At the end of the day, you need to be inspired and motivated by what you are doing, that’s really the most important thing, so if you are making music you aren’t truly turned on by or chasing a business path that isn’t honestly what you are passionate about, then its never going to end well. LABEL ENGINE: When you started getting involved in music and finally thought of it as a viable career, what do you think was the best advise you ever received that you can pass along to other aspiring musicians? NICK: Just be yourself. There are a million people out there already trying to be someone else, so just stay true to yourself. Sure there’s going to be manufactured stars in EDM just as there are in most genres of music but if you look around at most of the big names that have really built true careers and true fans, it’s because they tapped into who they really are and made the music they truly loved, not what someone else told them to make. LABEL ENGINE: Moving a bit away from the music talk, when not touring or making music, what are some of your hobbies? NICK: These days life is so insane it’s really hard to devote time to anything outside of music but I love playing soccer, been a passion of mine since I was a little kid. I also love Yoga, its one of the few moments that I get to turn my brain off and do something for myself for an hour or two. Touring can really get draining and I find my creativity and motivation is directly tied to staying active and eating healthy, so that’s always a big focus when I’m at home. LABEL ENGINE: If you weren’t a musician, what would you have liked to be instead? NICK: I was really involved in film and documentaries before getting into music. I produced documentaries and taught post-production and film editing. I wanted to be a documentary filmmaker when I was younger but that was all before I caught the music bug! If I had to switch careers today and couldn’t tour or work in the studio anymore, then I think I would move more heavily into Artist Management. I’ve learned tons just managing my own career and running Westwood and it’s something I’ve always found rewarding. If I stopped touring and producing tomorrow, then I think I would start a management company and turn the hustle on for some friends careers! If the music industry was out of the question, then I’d return to journalism and documentary filmmaking for sure. I definitely miss the power of helping bring an idea to light. LABEL ENGINE: Saved the most important question for last, of course. What is your favorite movie or tv show of all time? NICK: Definitely the most important haha, I’m always addicted to some show while I’m on the road, if there isn’t time or energy to work on music or label stuff, then catching up on TV shows on airplanes or at the hotel is sometimes the only real rest you get. Hard to pick a favorite but top picks would be House Of Cards, Game Of Thrones, Mad Men, True Detective, Shameless and Homeland!